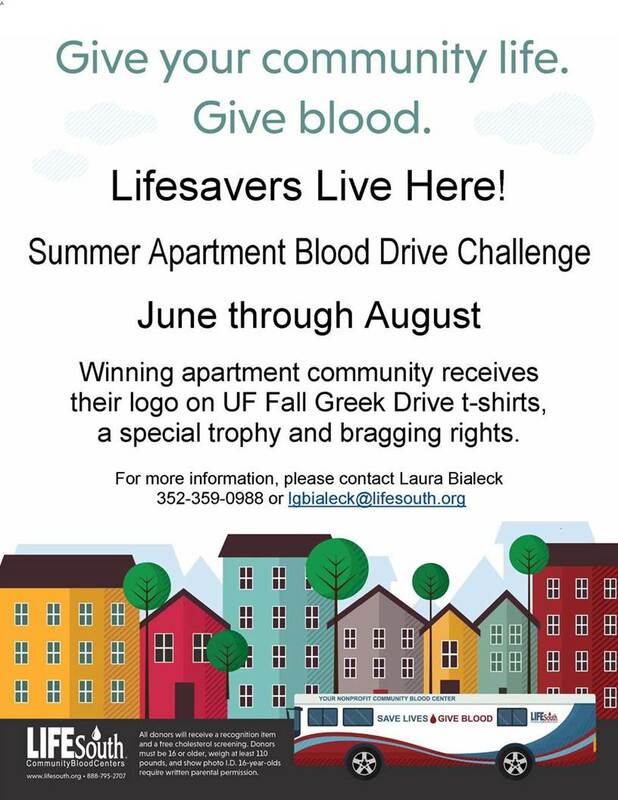 2018 Summer Apartment Blood Drive Challenge! actual blood donors on the bloodmobile on the day of each apartment’s scheduled drive. Blood drives must be held during the months of June-August to participate in the challenge. great way to show your support for your community, create a team-focused activity, and help patients in our hospitals who need blood! I hope to hear from you soon. Your non-profit, community blood center serving hospitals in Florida, Alabama and Georgia.